Cairns, Australia, 17th November, 2016 – Recently Lae Botanic Gardens Curator, Mr Michael Lovave visited Cairns to share his experience in Lae and learn from the management practices of the Cairns Botanical Gardens. We are thrilled to have been welcomed by our sister cuty Cairns and looked forward to engaging further in the future. This media release and photos are courtesy of Cairns Regional Council. This visit was also reported on by the Cairns Institute and other media outlets which are included in this article. Cairns is providing a helping hand to re-establish a botanic garden in its Sister City Lae, Papua New Guinea. 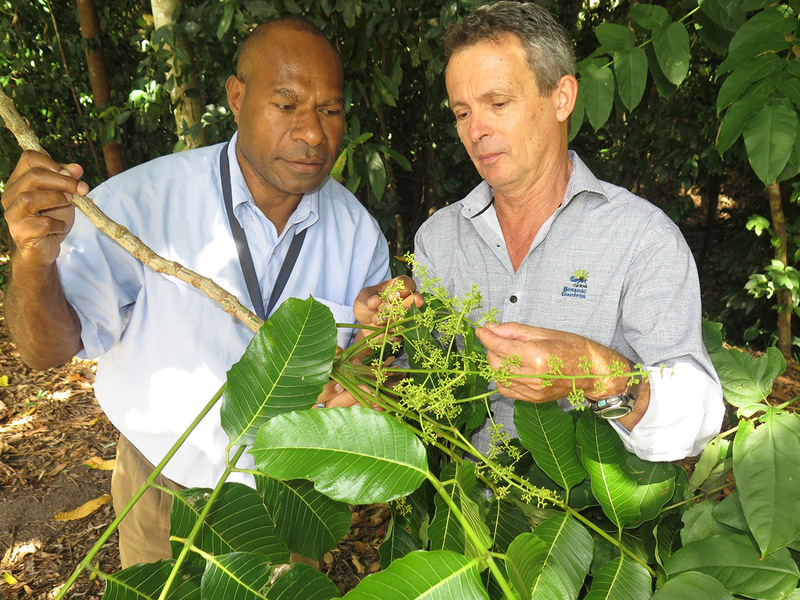 The curator of the Lae Botanic Gardens is in Cairns this week to meet with his Cairns Botanic Gardens counterparts and to share botanical knowledge and ideas. Michael Lovave arrived in Cairns on Monday as part of an innovative partnership involving the two gardens along with The Cairns Institute and the Australian Tropical Herbarium at James Cook University. “Cairns Botanic Gardens is renowned for having one of the best exhibitions of tropical plants in Australia,” Mayor Bob Manning said. “Having been closed for many years, the Lae Botanic Gardens has recently re-opened, thanks to the efforts of volunteers and sponsors. While in Cairns, Mr Lovave is meeting with Cairns Botanic Gardens staff to discuss a range of best-practice methods that could be incorporated into the Lae gardens management. He will in turn share his own experiences and botanical knowledge with Cairns. Cr Manning said it was a group of dedicated volunteers that had been behind the visit. “It’s with thanks of the Friends of the Cairns Botanic Gardens that this visit has been able to go ahead,” he said. “With JCU, the Friends have sponsored Mr Lovave’s visit to Cairns, assisting with his travel expenses. Mr Lovave will also spend two days at the Australian Tropical Herbarium (ATH) at James Cook University, where he will share botanical knowledge with local researchers. 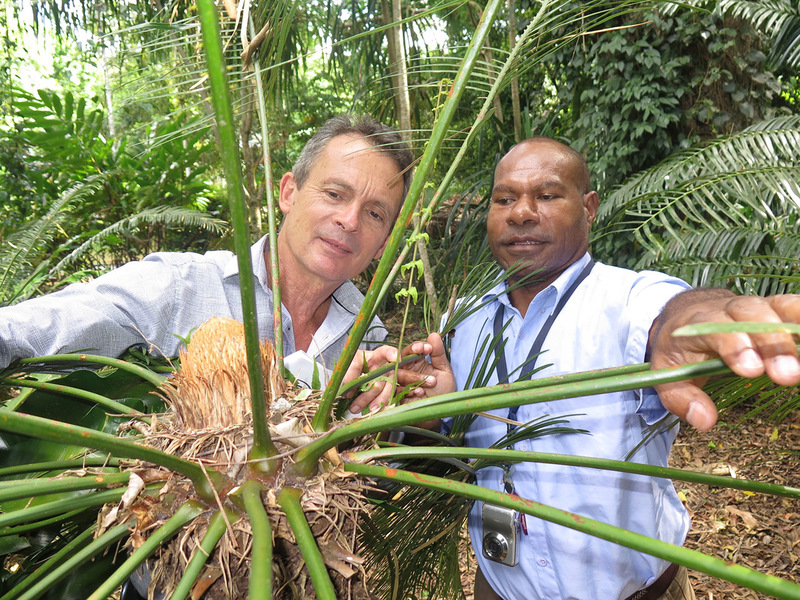 “As the two landmasses were once physically joined when sea levels were lower, Papua New Guinea and Australia share a rich botanical history,” ATH Director Professor Darren Crayn said. Cairns Institute Director Professor Stewart Lockie said Mr Lovave’s visit was an opportunity to discuss possible collaboration between The Cairns Institute, ATH, and PNG research organisations including the Forest Research Institute. 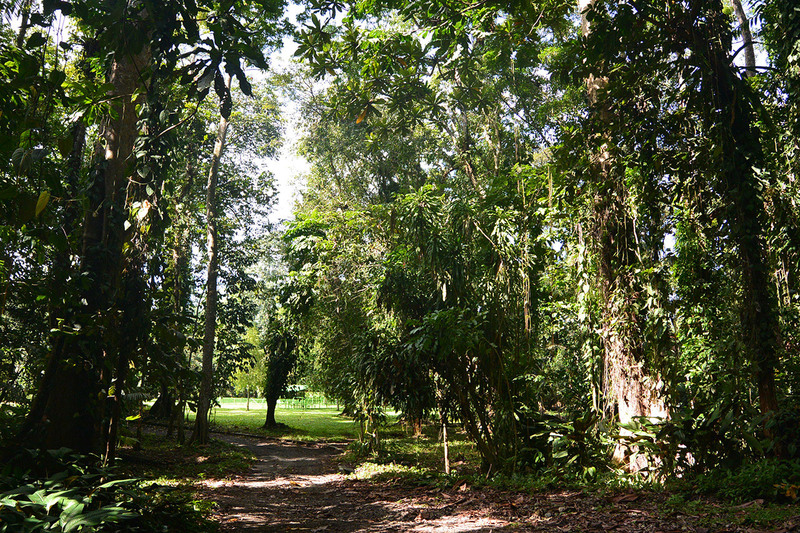 Cairns Institute Newsletter: Cities help botanic gardens to flourish in the tropics.